V-Ray 2.0 sneak peek: Physically correct dispersion support in the V-Ray material. V-Ray 2.0 sneak peek: V-Ray Lens Effects - Glare. 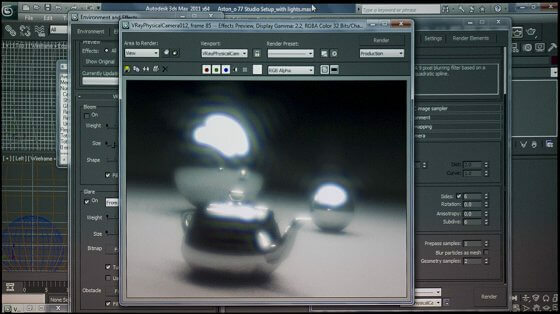 Lens Effects can be correctly calculated based on your V-Ray camera lens setup. V-Ray 2.0 sneak peek: VRayDistanceTex. In many ways similar to VRayDirt, but calculated before the raytracing, so unlike VRayDirt this texture can be used to control displacement, fur length etc. Related to "Vray 2.0 Demo"